West Bengal JEE 1st Round Seat Allotment Results 2017 declared on the official website wbjeeb.nic.in. WBJEE 1st Round Seat Allotment Results 2017: West Bengal Joint Entrance Examination Board has conducted the Entrance Exam for the candidates who wish to take admission in various Undergraduate Courses on 23rd April 2017 and released the results on 5th June 2017. The Board has conducted counselling from 12th June to 20th June. Now it has released the WBJEE 1st Round Seat Allotment Results 2017 on its official website wbjeeb.nic.in. You can check your West Bengal JEE First Round Seat Allotment Results by following our simple steps provide below. Go to the official site wbjeeb.nic.in and enter your WBJEE Roll Number, Password and Security Pin to check your result. WBJEE 1st Round Seat Allotment Results 2017 contains all the details regarding your allotted college and Branch. Candidates after checking their WB Joint Entrance Exam 1st Round Seat Allotment 2017 Results have to pay the fee online and report at the allotted college. You have to carry all necessary documents with you for document verification. Attend for initial fee payment, Collection of allotment card and document verification from 24th June to 1st July 2017. You can go for 2nd counselling, and these results will be released on 4th July 2017. West Bengal Joint Entrance Examination Board is abbreviated as WBJEEB came into force in the year 1962. Candidates have to appear for Entrance Tests if they want to study UG courses in the field of Engineering, Technology, Pharmacy and Agriculture. West Bengal Board will conduct these exams every academic year. 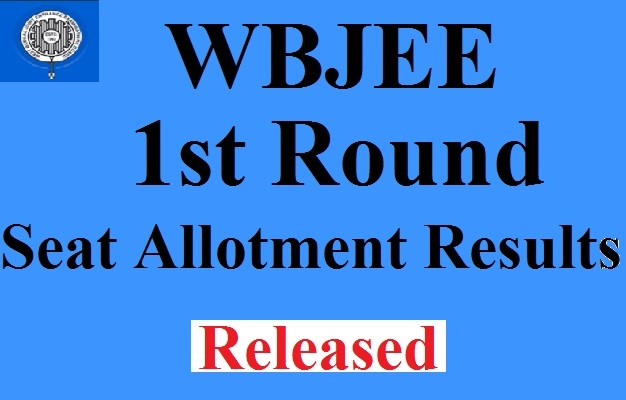 Click on the link given below to check WBJEE Seat Allotment Result Round 1. Follow our website www.Techfactslive.com on Facebook & Twitter to get all the latest updates regarding. If you have any Problem Contact us at [email protected].